Discussion in 'iPhone and iPad Games' started by hyptod, Jan 13, 2016. 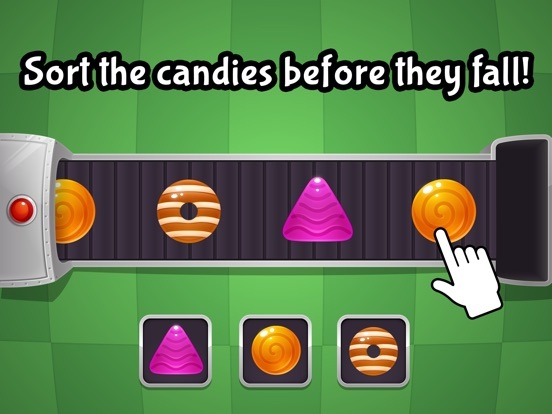 Your sweet new job at the candy factory is about to begin.... your mission is simple, sort the candies into the correct containers and pick-up bonuses and combos along the way for a high score that'll give you bragging rights to all in the candy business. 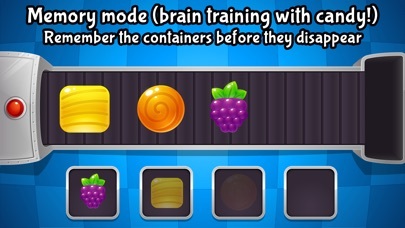 But be careful, the candy machine can be tricky to master and the boss is always watching for mistakes! 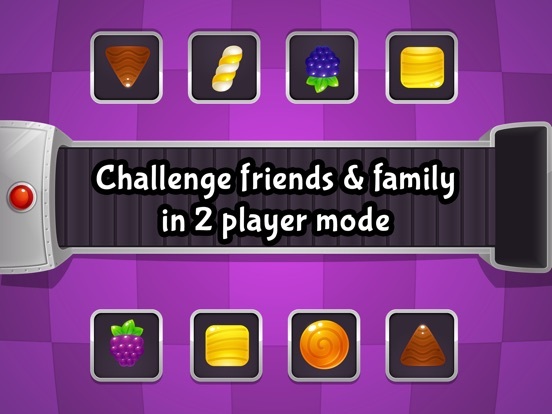 There are three game modes available to play either on your own or head-to-head with friends and family. 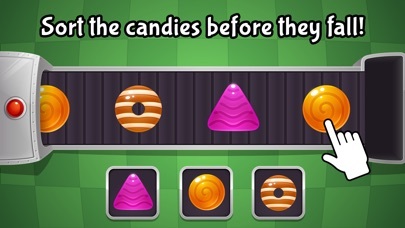 Classic Mode: Endless sorting of candies... that is until you can't handle the pace of the candy machine. If you contaminate a container with the wrong candy then it's game over! Timed Mode: Put your speed and co-ordination to the test in this 60 second challenge. Combos are your friend if you want seriously high scores. 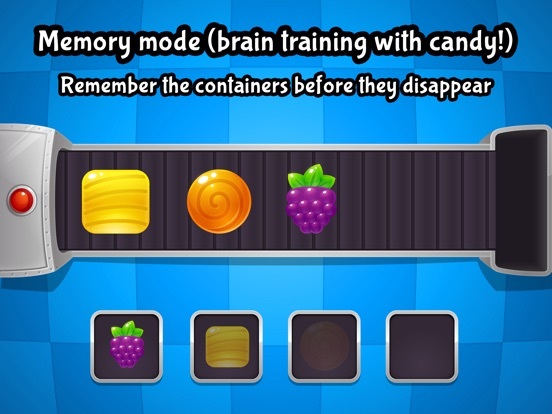 Memory Mode: Oh no, the boss has decided to switch off power to the candy containers to save money! Now you need to be quick but also remember the right containers. With the aid of combos and bonuses you might survive your first day! 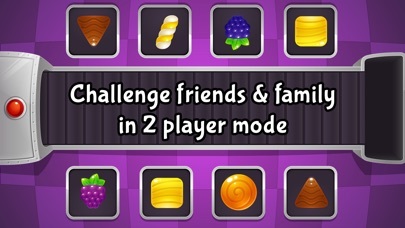 Show off your high-score, challenge your friends, win achievements and play to unlock even more candies! About Atomic Games: We're just a regular bunch of people who are interested in making fun mobile games. We use ads in our games because it means we can let you enjoy them for free (who doesn't like free stuff!). If you like this game then please rate it as that helps us a lot. If you have any issues, suggestions or feedback then please let us know by emailing play@atomicgames.net. Thanks for downloading and have fun!